Over 5 million Americans suffer from Alzheimer’s disease—and that number is expected to triple in the next 30 years. Given the staggering costs and impacts of patient care, medical researchers are keen to head off this statistic. But so far, pharmaceutical drugs can only slow the onset of Alzheimer’s, and those that have been approved perform only modestly better than a placebo. The drugs are also expensive and are only effective for some patients. For those who do see their symptoms improve, the effects are usually temporary. Some doctors believe that making lifestyle changes, rather than finding a new drug, may be our best chance at preventing Alzheimer’s. Like all types of dementia, Alzheimer’s is caused by the death of brain cells, leading to a reduction in brain volume. 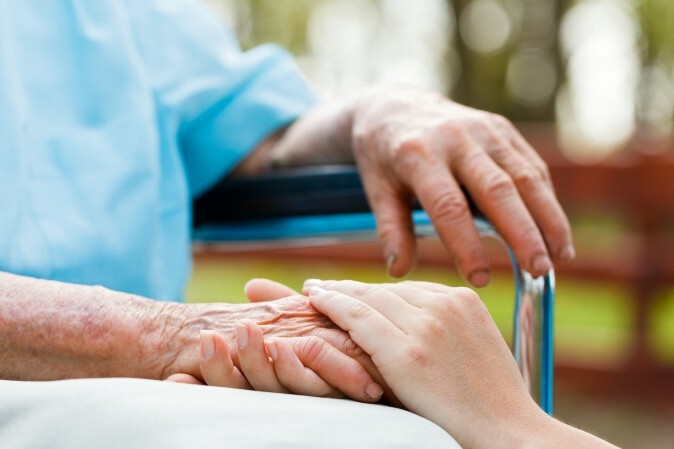 The disease is characterized by deteriorating cognitive function, including memory loss, due to toxic protein buildups in the brain, called amyloid plaques and tangles. These are linked to several uncontrollable factors, like age and genetic predisposition, but also lifestyle. This is why some doctors believe that making lifestyle changes, rather than finding a new drug, may be our best chance at preventing Alzheimer’s. Here are some proven steps we can take to keep the mind sharp as we age. A growing number of studies show that what we eat plays a profound role in cognitive health. Researchers are particularly interested in the positive effects of the Mediterranean diet, which consists primarily of fish, fruits, vegetables, nuts, legumes, whole grains, and olive oil. A study published in January in the journal Neurology found that adults in their 70s who ate a Mediterranean diet were less likely to lose brain volume as they aged. Another study, from the Rush University Medical Center, found that people who stuck to a Mediterranean-type diet lowered their risk of developing Alzheimer’s by 53 percent. Even participants who only partially stuck to this diet were able to cut their risk of the disease by 35 percent. Dr. Barry Sears, biochemist and creator of the Zone Diet, which aims to reduce inflammation, based his famous eating program on the Mediterranean diet. What makes the Mediterranean diet so special, he says, is its high levels of omega-3 fatty acids. According to Sears, the underlying cause of cognitive decline is increased inflammation in the brain. This makes omega-3s, which are anti-inflammatory, ideal for promoting brain health. Unlike most drugs, fat can easily pass through the blood-brain barrier. “Once omega-3 fatty acids transfer from the blood into the brain, they become building blocks for a powerful group of hormones that resolve the inflammation that causes various neurological disorders,” he said. Unfortunately, most of the fats in the modern American diet (such as soybean oil, corn oil, and margarine) are rich in omega-6 fatty acids, which increase inflammation. Some of the best sources of omega-3s are sardines, albacore tuna, and salmon. That’s why the Alzheimer’s Association recommends that people include fish in their diet. Fish has been considered a brain food for centuries. But Sears warns that we have to be mindful of the fish we choose, because some of them contain mercury and polychlorinated biphenyls (PCBs), which can make inflammation worse. At high levels, mercury and PCBs can also be toxic. There are also chemicals in plants, called polyphenols, that contribute to brain health. Polyphenols give fruits and vegetables color, and like omega-3s, they help reduce inflammation in the body. Herbs, nuts, berries, artichokes, and olive oil are all great sources of these anti-inflammatory plant compounds. This is why polyphenol-rich dark chocolate is increasingly recognized as a health food. Studies show that refined cocoa polyphenols significantly improve brain function and volume in people with slight cognition problems. To reap the benefits, the chocolate must have a high cocoa content (above 80 percent). The higher percentage means there are more polyphenols and less sugar—one of the most significant dietary causes of inflammation. Grains such as rice and bread are also part of a traditional Mediterranean diet, and many doctors recommend whole grains as part of an eating plan to prevent Alzheimer’s. But Sears says that when we swap out the starches for more polyphenol-rich plants, we can make our meals even more effective. Dark leafy greens, avocados, and cruciferous vegetables, such as broccoli and cabbage, have all been linked to better cognitive function. “Eating more fruits and vegetables gives rise to dramatic hormonal changes, especially relative to controlling inflammation,” Sears said. Recent research has found that in order to keep a healthy mind, you have to move your body. One meta-analysis published in 2009 found that physical exercise reduced the relative risk of dementia by 28 percent. According to Dr. Jennie Ann Freiman, an obstetrician-gynecologist who is currently writing a book on Alzheimer’s, physical activity is one of the most effective and proven interventions to help prevent and delay the disease. Sears recommends interval training (short bursts of activity followed by 90 seconds of rest), as well as lifting weights. He says these types of exercises reduce the impact of inflammation in other organs, resulting in better blood flow to the brain. In animal studies, sustained aerobic exercises, like running, have been shown to increase nerve growth factors in parts of the brain related to memory and learning. But exercise doesn’t have to be strenuous to benefit the brain. In fact, the slow, low-impact nature of exercises like tai chi may be perfect for older adults who want a gentler way to bring more movement into their life. The study’s authors concluded that the movements of tai chi may impact cognitive function via unique neurophysiological pathways. Those who practice tai chi learn choreographed movements that may support visual-spatial processing and episodic memory—both of which deteriorate in people who have Alzheimer’s. In addition to exercises for the body, exercises for the mind—such as crossword puzzles and chess—may also help us to keep our mind healthy as we age. In an effort to investigate the “use it or lose it” theory of cognitive decline, a large, observational study by the National Institute on Aging examined 700 nuns and priests aged 65 and over. Researchers looked at the time subjects spent doing puzzles and games, reading the newspaper, visiting museums, and other mind activities. Over a seven-year period, researchers found a correlation between the frequency of cognitive activity and the risk of developing Alzheimer’s. For each one-point increase in a subject’s score on the scale of intellectual activities, the risk decreased by 33 percent. Research suggests that people who frequently challenge their brain keep their wits longer, even if they develop Alzheimer’s. In a report published in the July 2015 edition of the journal Neurology, researchers found that people at risk of developing Alzheimer’s who played brain games had better cognitive performance, even if plaques formed on the brain. Studies suggest that people who can converse in two or more languages have better cognitive functioning in old age, which may delay the onset of Alzheimer’s disease. Playing music or singing also has a noticeable influence on cognitive function. A 2013 study published in the journal PLOS One looked at adults aged 50 to 77 and matched them by age, education, vocabulary, and general health. Despite these similarities, those who played music showed significant better cognitive functioning than those who did not. Scans of professional musicians’ brains have also revealed that the areas responsible for motor control, auditory processing, and spatial coordination are remarkably larger than in non-musicians’ brains. In addition, their brains demonstrate a stronger connection between the right and left hemispheres. Other research shows that music therapy can even help bring back some spark to a brain in decline when nothing else can. The Alzheimer’s Foundation of America endorses music therapy for its power to change a person’s mood, manage stress and agitation, stimulate positive interactions, and coordinate motor movements. In addition to diet and exercise, stress also contributes significantly to chronic inflammatory diseases like Alzheimer’s. When the body experiences chronic stress, it increases production of the hormone cortisol. A little cortisol gets us in gear when we’re faced with fight-or-flight circumstances. But if cortisol is constantly being triggered, it leads to illness, says Sears. “Cortisol makes you fatter because it causes insulin resistance. It makes you sicker, because it suppresses the immune system. And it makes you dumber because it too can cross the blood-brain barrier and destroy the memory cells in the hippocampus,” he said. Many people watch TV to unwind, but this may be a poor long-term strategy to deal with stress. A 2015 study from the Northern California Institute for Research and Education in San Francisco tracked over 3,200 people for 25 years. Researchers found that participants who watched a lot of TV had significantly worse cognitive function at the end of the 25 years. Those who watched a lot of TV and got little physical activity were the most likely to have poor cognitive function in midlife. Meditation, however, may offer real benefits for a stressed-out mind. 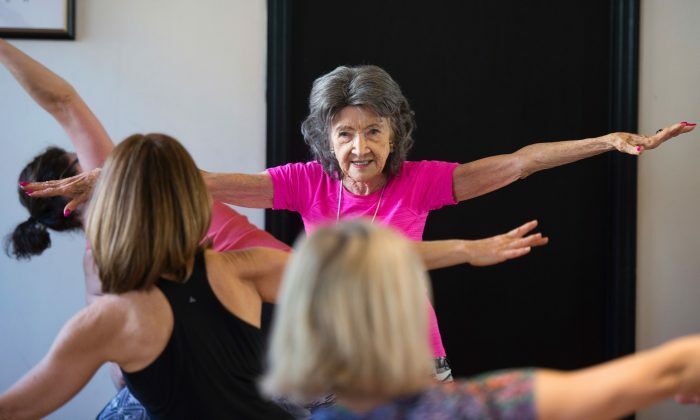 Last year, researchers from University of California–Los Angeles reported that a three-month course of yoga and meditation helped minimize the cognitive and emotional problems that often precede Alzheimer’s disease and other forms of dementia. This meditation course was even more effective than memory enhancement exercises because it also improved participants’ mood, anxiety, and coping skills. Sears offers a simple, yet deceptively challenging, meditation technique: Sit in a comfortable chair and try to think of nothing for 20 minutes. “It’s really hard work, but it’s a proven way to reduce stress,” he said.